Usually made from a pure strain of Saccharomyces cerevisiae into flakes or a powdered form, nutritional yeast is not a byproduct like brewer’s yeast, but inactive yeast that is deliberately grown owing to its culinary properties in combination with its high nutritional value. Since it is an inactive form, vegetarians and vegans can have this yeast too. The yeast is usually grown on a mixture of molasses in order to derive a variety of nutrients and B vitamins are commonly added to enhance the nutrient quality further. Vitamin B12 that finds its origin only from animal sources is excluded in some nutritional yeast so that vegans can also consume this yeast. The yeast is harvested, washed, pasteurized, and dried before being packed. Nutritional yeast has the same properties as any other yeast and can hence be used to brew beer, leaven breads, and prepare wines. Distinguishingly, nutritional yeasts can even be sprinkled over salads and curries. The most important characteristic about nutritional yeast is that it contains no added colours or preservatives, and is low in fat, sodium, and kosher. 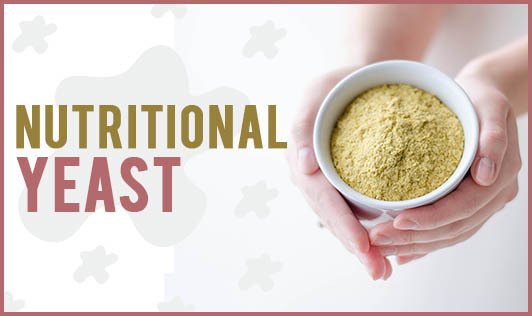 Nutritional yeast has become a popular addition in various commercial foods in order to enhance the nutrient composition as per specific nutritional needs or health demands.